Is it just me or do the Big Finish story writers have more exciting and less convoluted stories to tell than what we see on tv with Doctor Who? I mean, how much more excited would we be as fans to find out the Wirrn are returning than say having to suffer rubbish (in my opinion) like The Girl Who Lived and The Woman Who Died? Yeah, Big Finish usually tends to have better stories or story ideas than what we’ve had on TV in the last few years. That is likely in part to the fact they need to make good stories to make a profit. Id much rather have new stories with new characters than bringing back the Wirrn or the Zarbi for the sake of nostalgia and appealing to a very narrow spectrum of old fans. Yeah but the wirrn were in 1 TV story in the 70s, its refreshing to see Big Finish bring them back rather than have the constant Dalek/Cyberman/Sontaran/Zygon/Silurian combo that we’ve had over the past few years. New fans would be ignorant of them so would seem fresh to them anyway, surely? I think most fans issue with the Silurians was they looked nothing like the original ones. Let’s not forget, by the way, that the Audio medium has no budget! Stories can be as blockbusting as possible without the worry of a visual effects budget, or a budget at all, for that matter! Just the cast, and a script, and a good combo of director/sound editor/composer! Clearly for the ‘casual listener’ market, extra continuity baggage is not ideal. These spin off boxsets like UNIT from the New Series are very good. And Wirrn this time. Love those Osgood knowing references to old enemies etc with her knowledge through the old UNIT files and the cast just gel so well together. Maybe they could get Josh and colonel Shindi into the next TV outing. I’d say the best you could hope for from Josh and shinbi in the tv series would be a minor cameo. If the TV show ever wants to focus on unit personel other than kate and osgood, they will create their own original characters. 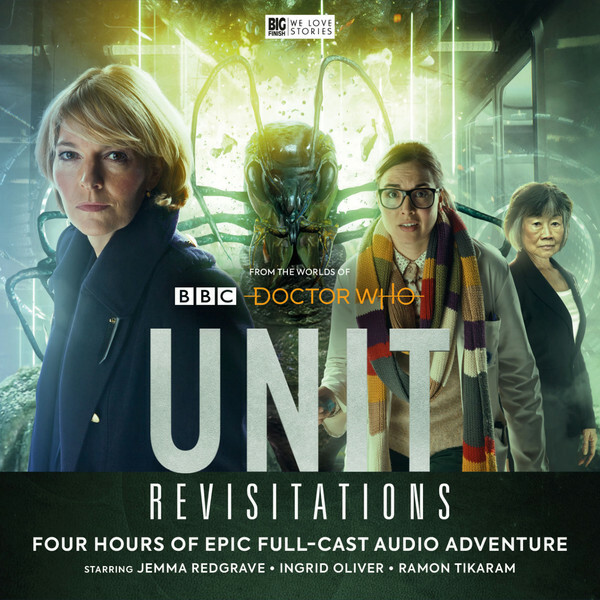 Cameos would be fine just as an acknowledgement to Big Finish, although i have to say i would much rather have had UNIT as a TV spinoff than any Class or Torchwood.